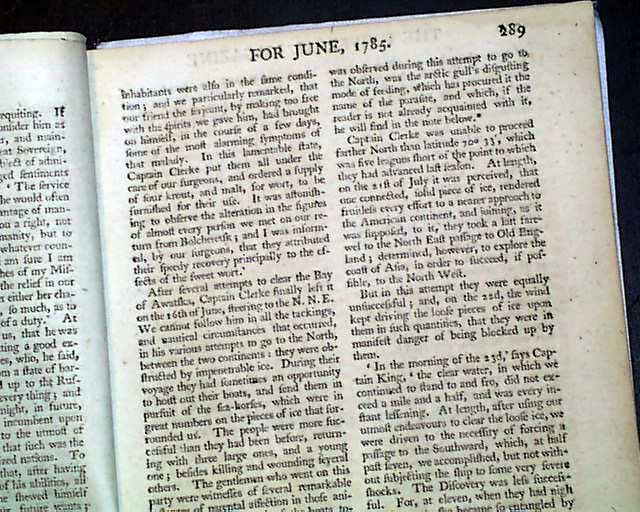 This magazine--much more scarce than the Gentleman's Magazine--published in serial form the account of: "Captain Cook's Voyage to the Northern Hemisphere...", this issue containing reports from April, 1779 when after visiting the Hawaiian Islands where Cook met his death, Captain Clerke returned once again to the Northwest in search of a Northwest Passage to the Atlantic. 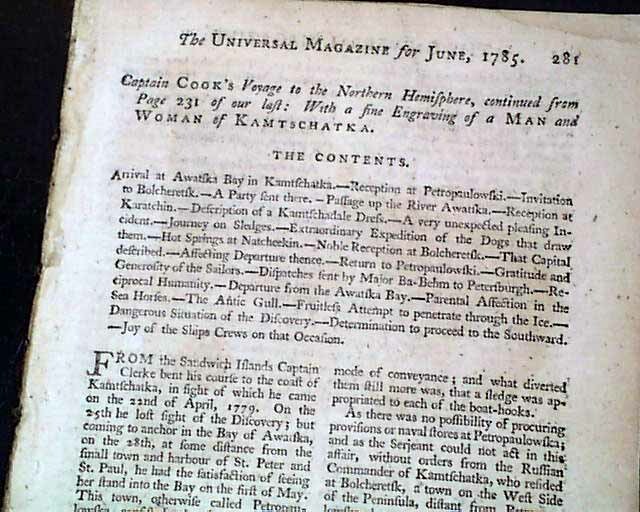 As noted in "The Content" at the beginning of the front page, topics include: "Arrival At Awatska Bay in Kamtschatka [Kamchatka, far eastern Russia]--Reception at Petropaulowski--Passage up the River Awatska--Journey on Sledges--Hot Springs at Natcheekin--Departure from the Awatska Bay..." and much more (see), with the very detailed text taking 9 1/2 pages. 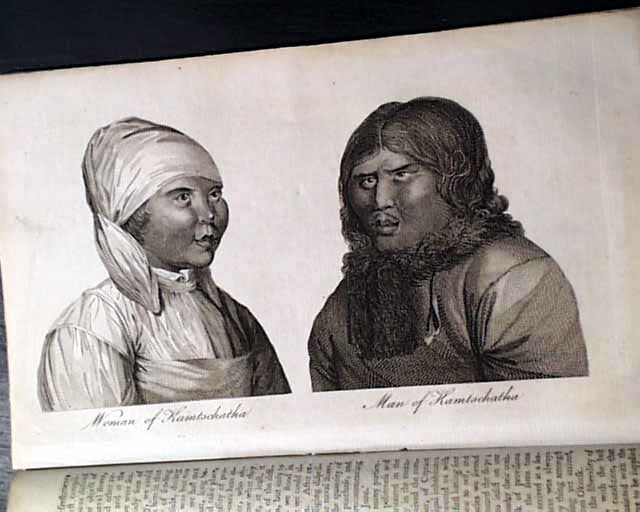 Of significance is that the rare full page plate is still present, showing: "Woman of Kamtschatka and Man of Kamtschatka (see). 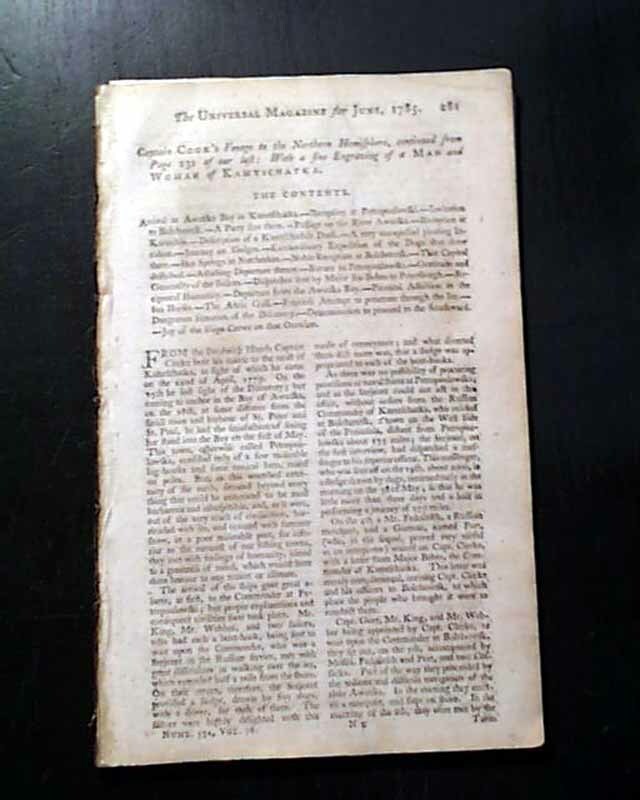 The print is in very nice condition. There is another unrelated print included here as well. Contains 56 pages. 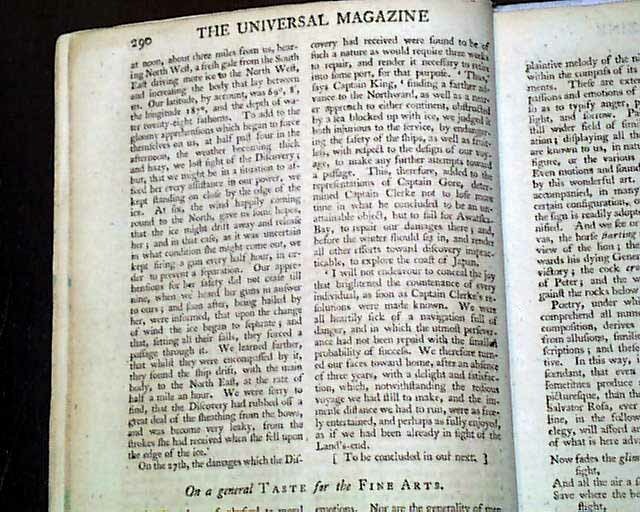 As was typical with the Universal Magazine, it had no full title/contents page but rather an outer wrapper which served that purpose, but the wrappers were typically removed when the issues were bound. The top of the first have has the title and date. We are also including a photocopy of the volume's full title page as further verification of the title & city of publication (see). 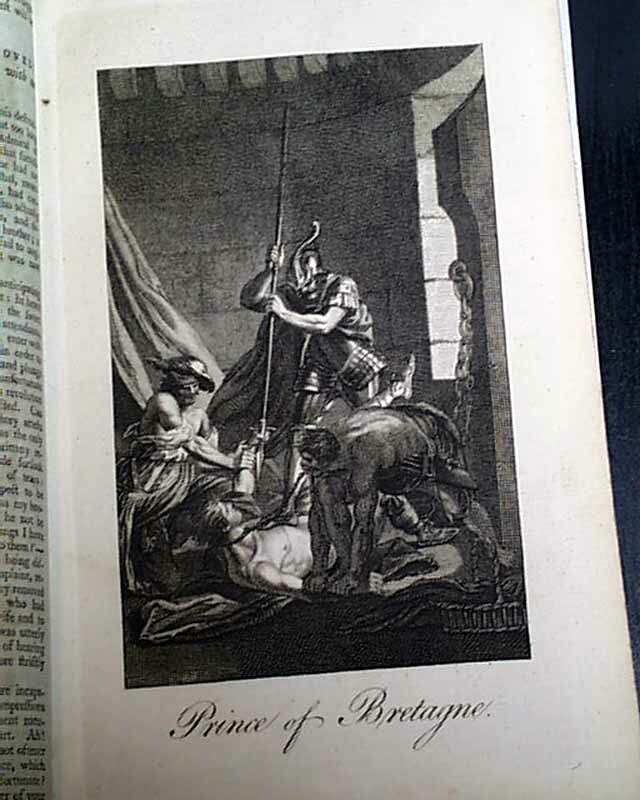 Measures 5 by 8 inches, very nice condition.